Whitworth’s Ethics Bowl team, the Philosoraptors, won the Northwest Regional Ethics Bowl on Nov. 22 at Seattle Pacific University. The Philosoraptors finished first among 14 teams from 11 universities across five states. Whitworth defeated Gonzaga University, Seattle Pacific University, Portland State University and the University of Alaska-Anchorage. Other universities competing in the ethics bowl included Arizona State University, Pacific Lutheran University, St. Martin’s University, University of Montana, University of Puget Sound and Washington State University. Whitworth’s win qualifies the team to compete in the National Intercollegiate Ethics Bowl, held in Costa Mesa, Calif., in February 2015. This will be the team’s seventh consecutive appearance in the national tournament. Whitworth took first at the national tournament in 2012. In an ethics bowl match, a moderator poses questions to teams of three to five students. The questions concern ethical problems on a wide range of topics. Each team receives a set of ethical issues in advance of the competition, and questions posed to teams at the competition are taken from that set. A panel of judges evaluates answers based on intelligibility, focus on ethically relevant considerations, avoidance of ethical irrelevance, and deliberative thoughtfulness in considering opposing viewpoints. At the regional ethics bowl, the Whitworth team analyzed 12 cases written by the Association for Practical and Professional Ethics, with topics ranging from environmental management, genetic testing regulation, and child euthanasia laws in Belgium, to United Nations intervention in Haiti, and whether companies can fire CEOs for expressing their political beliefs. 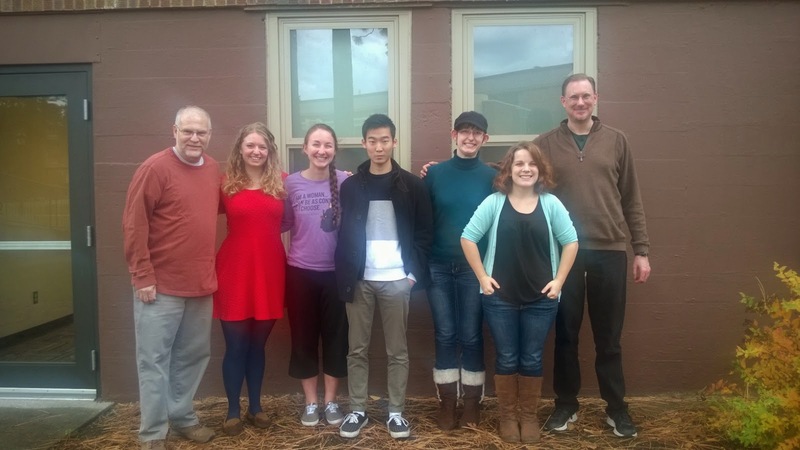 This season’s team members include Kaitlin Barnes, ’17, an English and philosophy double major; Jonathan Kim, ’15, a philosophy major; Rebecca Korf, ’15, a chemistry major; Ellie Probus, ’16, a psychology major; and Sarah Sauter, ’15, a philosophy, French and Spanish triple major. The Philosoraptors are coached by Ingram and Associate Professor of Philosophy Keith Wyma.